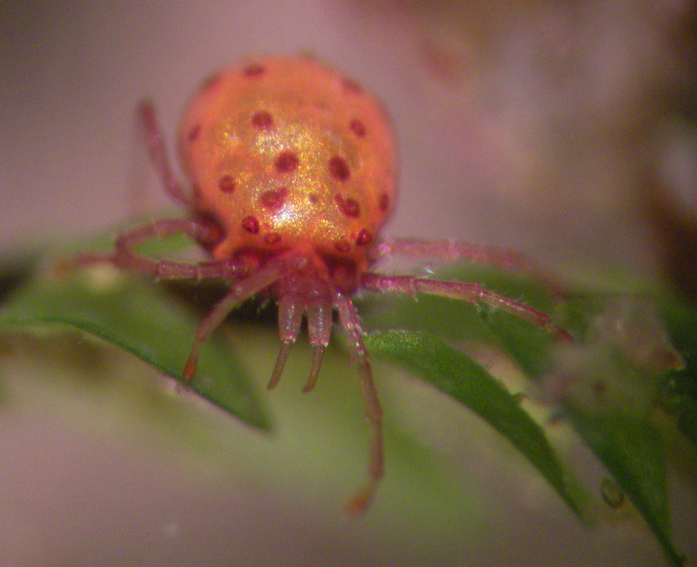 Living water mites can look like moving gems in benthic samples from freshwater habitats. What do we know about these fascinating creatures, and how easy is it to barcode them? Sperchon glandulosus, a common species in low and middle order streams. Photo Reinhard Gerecke. True water mites are 0.2-5 mm large arachnids that are commonly found in all kinds of freshwater. Under undisturbed conditions, they are particularly frequent and species-rich in lakes, running waters and springs. They are generally recorded also from peat bogs and temporary ponds. Water mites constitute an important element in freshwater ecosystems and many species have specific habitat requirements. This make them suitable for biomonitoring, but extended use is hampered by challenging taxonomies and size. Thus, DNA barcoding would be an excellent tool to increase the use of water mites in freshwater assessments. This is one of the reasons why we (Elisabeth Stur, Gaute Kjærstad and Torbjørn Ekrem) at the NTNU University Museum started building a reference library of Norwegian water mites. We managed to convince world expert Reinhard Gerecke to collaborate with us to have Norwegian and Greenland water mites identified and barcoded. The diversity and distribution of Norwegian water mites are poorly known: current unrevised lists comprise about 150 species, mostly recorded from eastern Norway only. At the same time, several species have their type localities in Norway, being first described by the Norwegian priest and arachnologist Sig Thor (1856-1937). This makes knowledge of the Norwegian fauna taxonomically important in a wider perspective, as recently exemplified by Pešić et al. (2017) in their revision of the Hygrobates fluviatilis complex. When we started our project, there were no records of water mites from Norway and Greenland in the Barcode of Life Data Systems (BOLD). Now there are sequences of 22 identified species from Norway and 3 species from Greenland. Although this only is a very small percentage of the expected fauna, it is a proof of concept for DNA barcoding in Norwegian water mites: DNA barcodes are well suited to identify species and can be used to detect cryptic diversity. One example for this is the species Lebertia porosa, first described by Sig Thor in 1900 and with the high number of 37 junior synonyms. This species has no less than 7 BINs in our dataset and is a good candidate for thorough taxonomic scrutiny. The water mite Lebertia porosa has seven BINs in Norway. Photo Reinhard Gerecke. Moreover, we tested two different ways of DNA extraction from sampled tissues: Dissection of legs or non-destructive extraction from whole specimens. Both methods performed equally well with a success rate of 84%. Thus, there are multiple options to preserve vouchers for DNA barcodes. 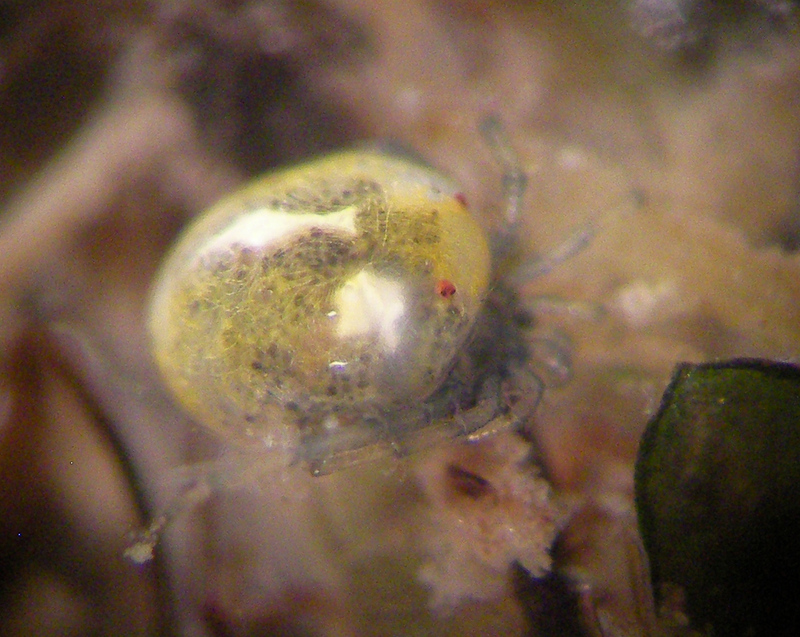 Given the high diversity and importance of water mites in freshwater ecosystems, the knowledge of the Norwegian fauna would gain much from an inventory project on this group. It is also obvious that a proper representation of identified water mites in the barcode reference library is needed to fully appreciate future environmental barcoding in assessments and management of freshwater ecosystems.